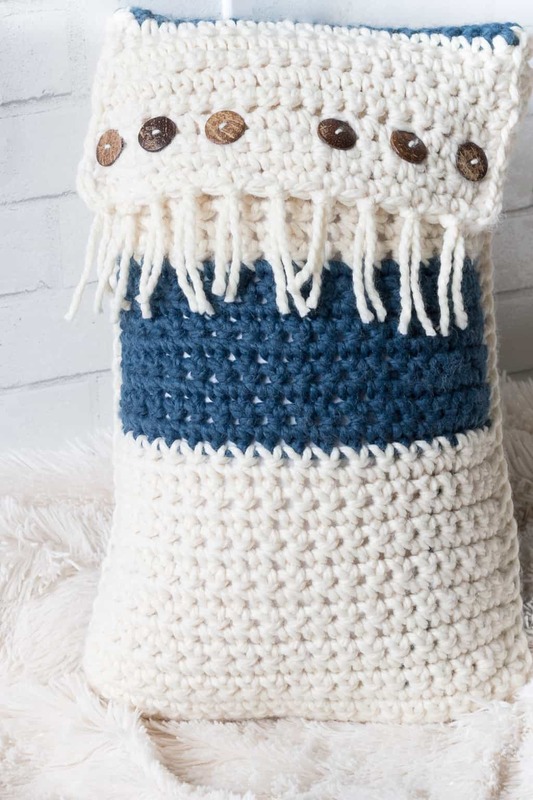 Looking for a modern but classic looking pillow for your space? 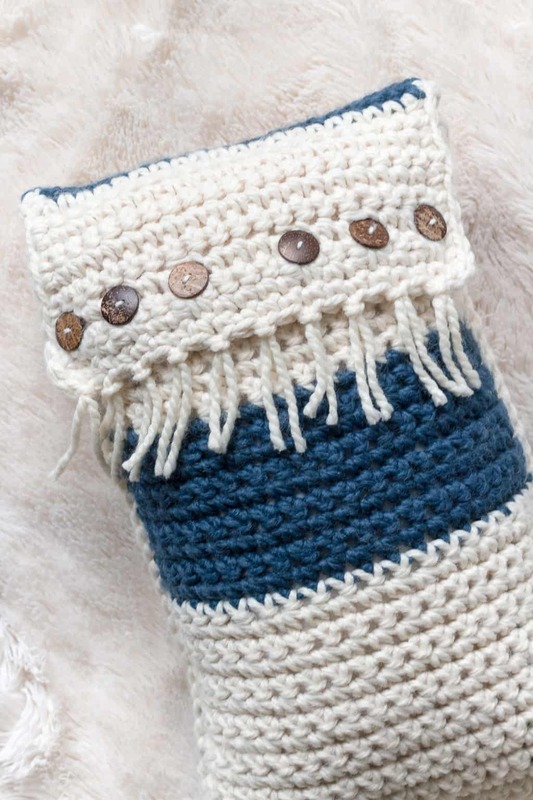 The Zaffre Color blocked crochet pillow might be it! 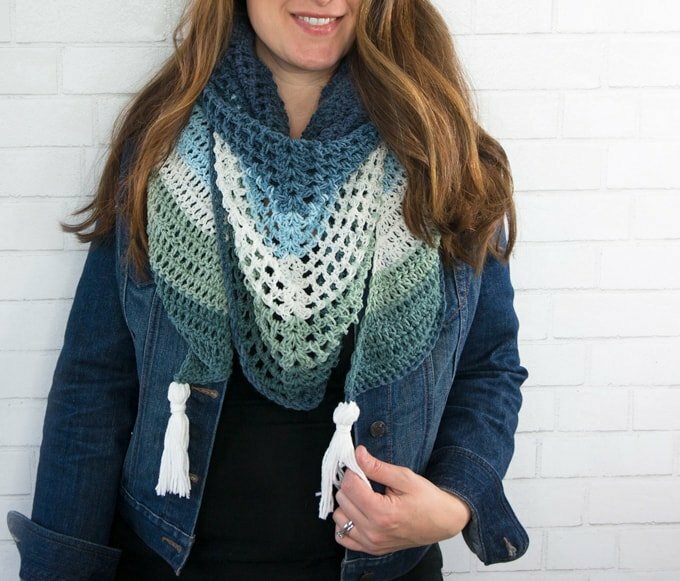 This fringe optional crochet pattern is perfect for beginners and works up quick using chunky yarn! 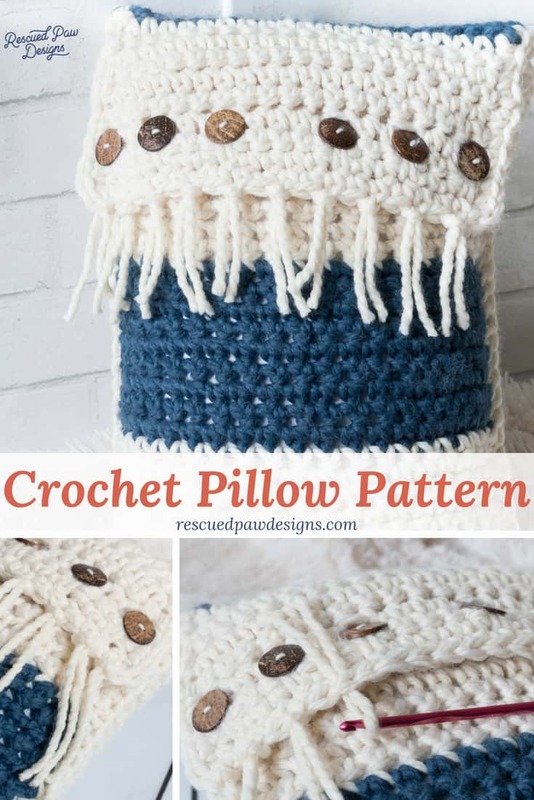 Read on down to find the free crochet throw pillow pattern to get started today! 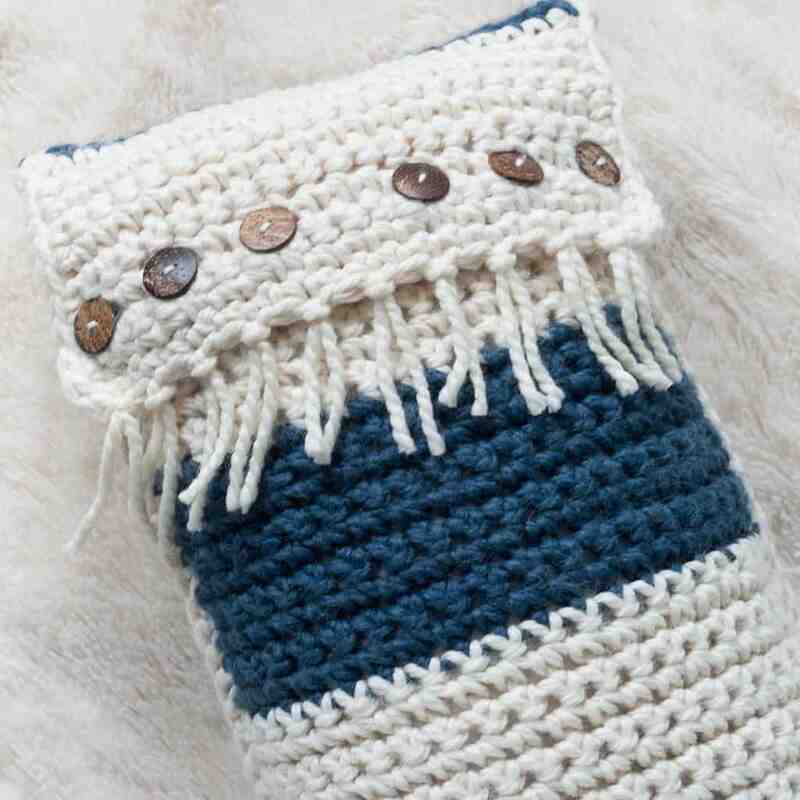 Perfect Crochet Pillow for Beginners! 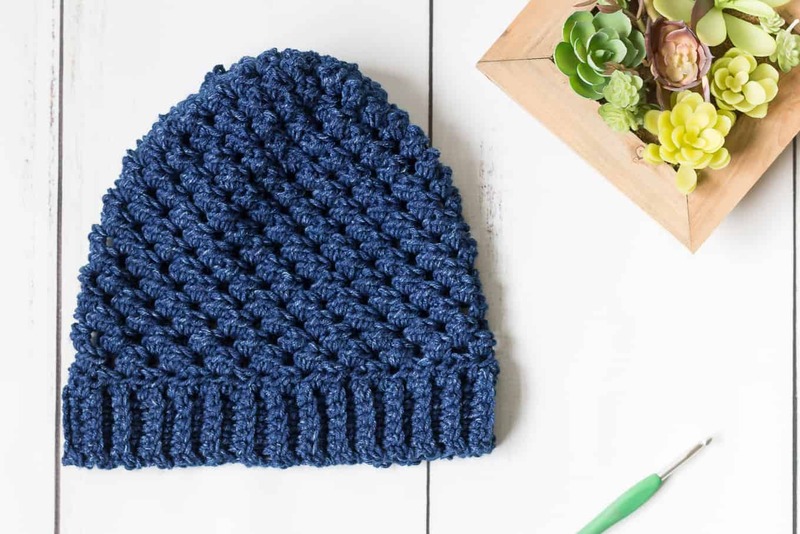 This simple pattern which is the way I like to design all my patterns is perfect for beginners because of the simple crochet stitches it uses! 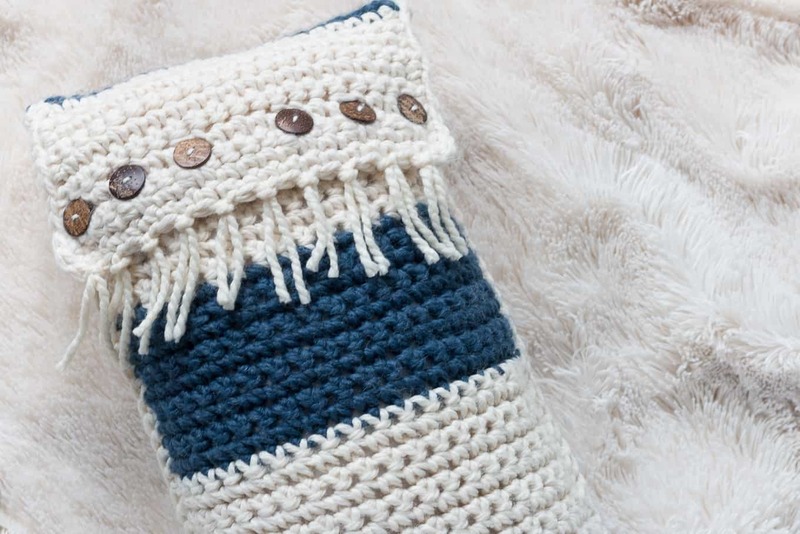 You’ll be crocheting this pillow in no time at all! Promise. I was looking for an interesting but cool sounding name that meant blue or had some kind of blue meaning behind it. When I googled blue names this one came up and I knew it was perfect! Plus, it sounds pretty awesome too! Did you know what the name meant you saw it? 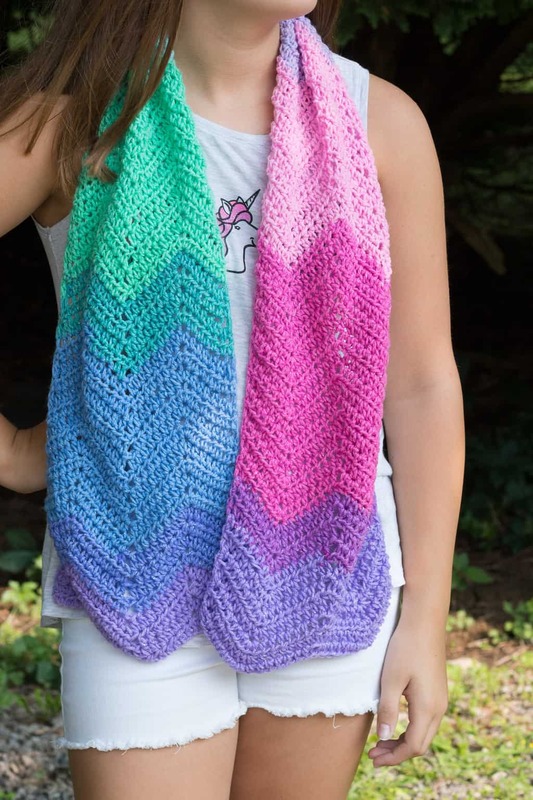 To make this a fairly quick project you will want to use Lion Brand Wool Ease Thick & Quick because chunky yarn is always a must for fast projects! 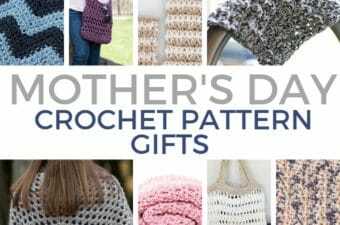 And you will also need to know how to single crochet! 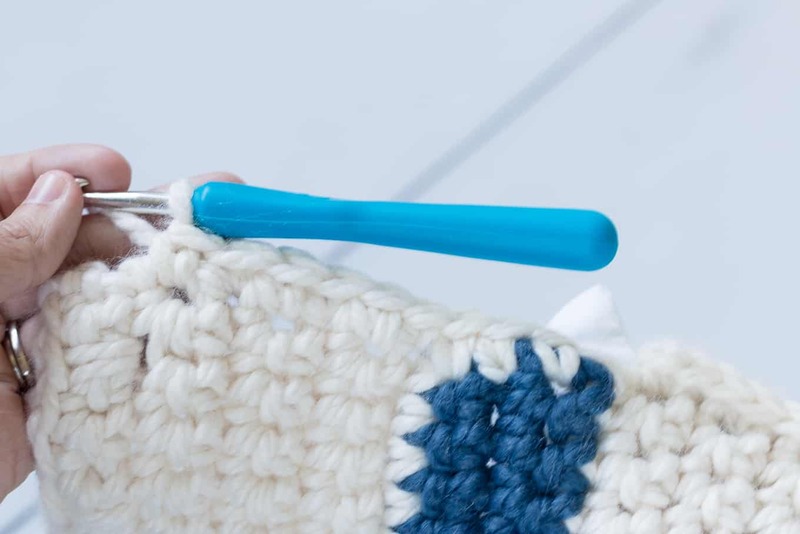 If you need a refresher on that stitch check out my YouTube Video course on “How to do a single crochet”. 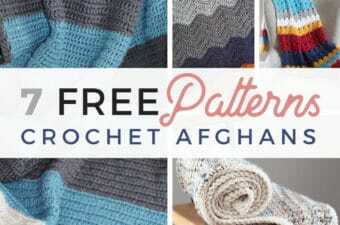 You may also like these patterns too.. 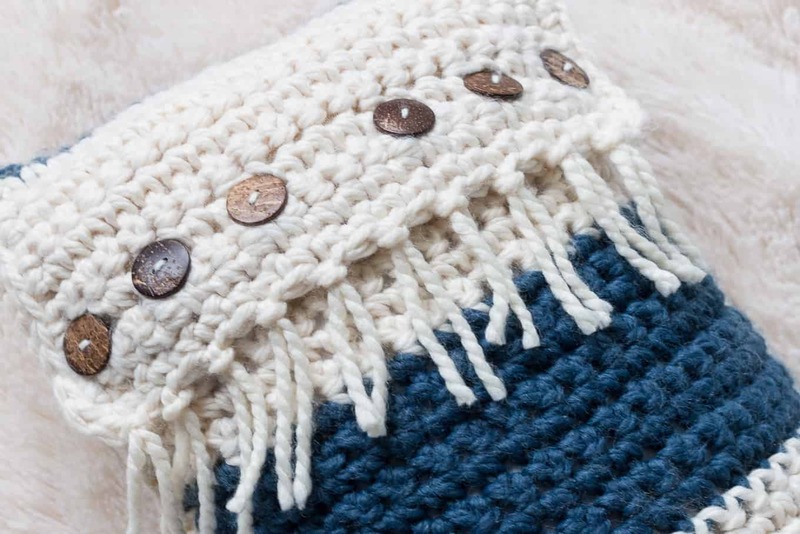 If you have been around awhile you will know that I LOVE coconut buttons and put them on most any project that needs buttons. For example: Simple Button Hat. 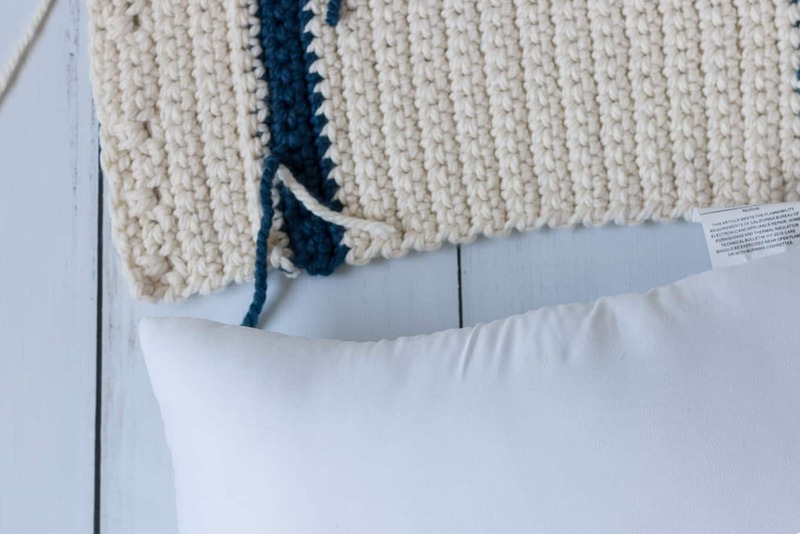 I just love the way they look so natural and give projects a kind of earthy rustic feel. I usually get mine off Amazon but local crafts store should have them too! 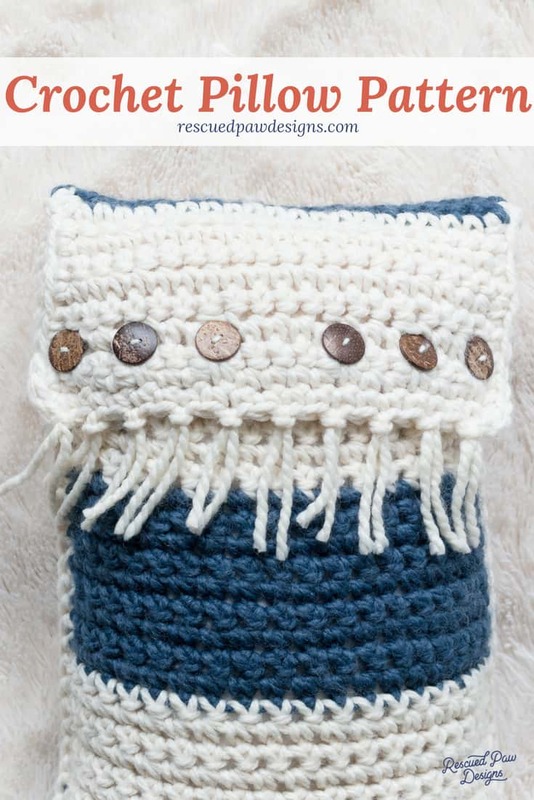 Materials: Lion Brand Wool Ease Thick & Quick in Fisherman, Lion Brand Wool Ease Thick & Quick in Denim, 6.00 mm crochet hook, 12″ x 20″ pillow form ( I got mine on Amazon), large yarn needle, scissors, Six 1 1/2″ coconut buttons. 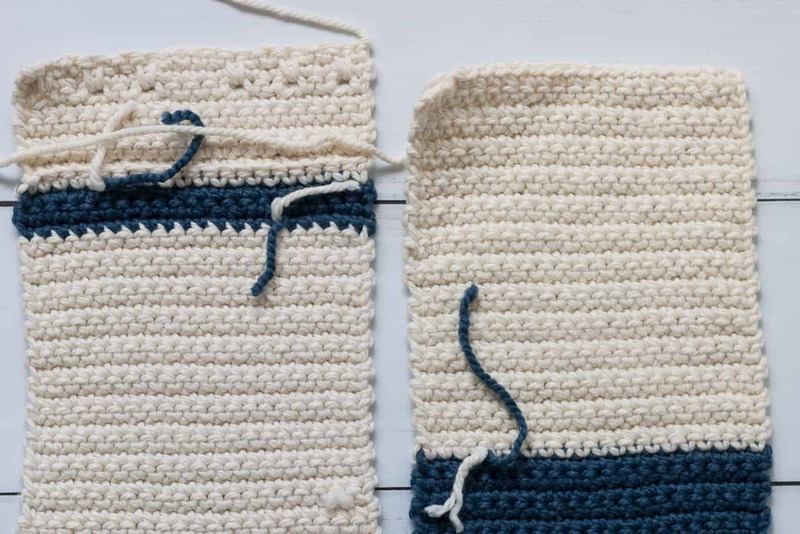 Notes: Written in standard US terms, fringe is an optional part of the pattern if you would prefer not to use them. Row 47: sc, sc into ch 1 space of row 45, sc, sc, sc into ch 1 space of row 45, sc, sc, sc into ch 1 space of row 45, sc, sc, sc, sc, sc into ch 1 space of row 45, sc, sc, sc into ch 1 space of row 45, sc, sc, sc into ch 1 space of row 45, sc. (20). 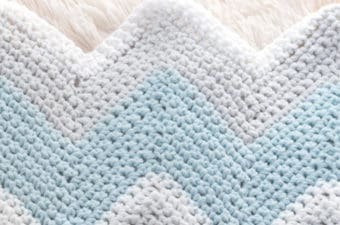 Hold the two panels together right side out (the side you will want everyone to see), join panels together with a single crochet stitch down along long edge, 3 single crochets in the corner, the bottom, 3 single crochets in the other corner and back up the remaining long edge evenly. Do not close off the button closure of the remaining short edge. 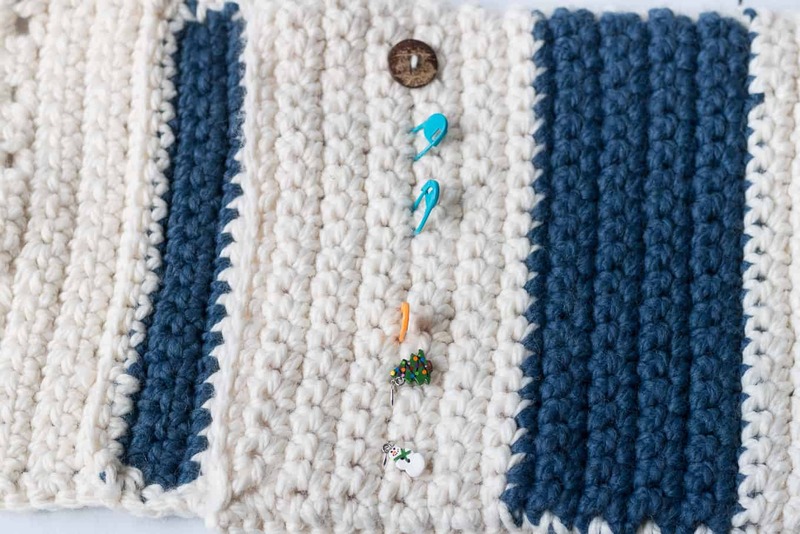 Attach buttons securely with yarn to the back panel so they line up with the button holes on the front panel. 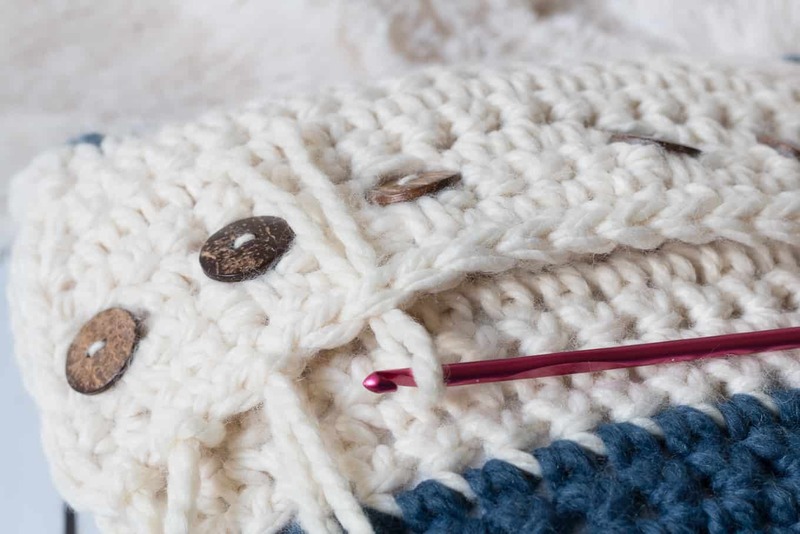 I used stitch markers to mark off where the buttons would go so they evenly lined up with the button hole openings. Along the front below the button flap add fringe using ten 8-10 inch pieces of yarn as shown below. 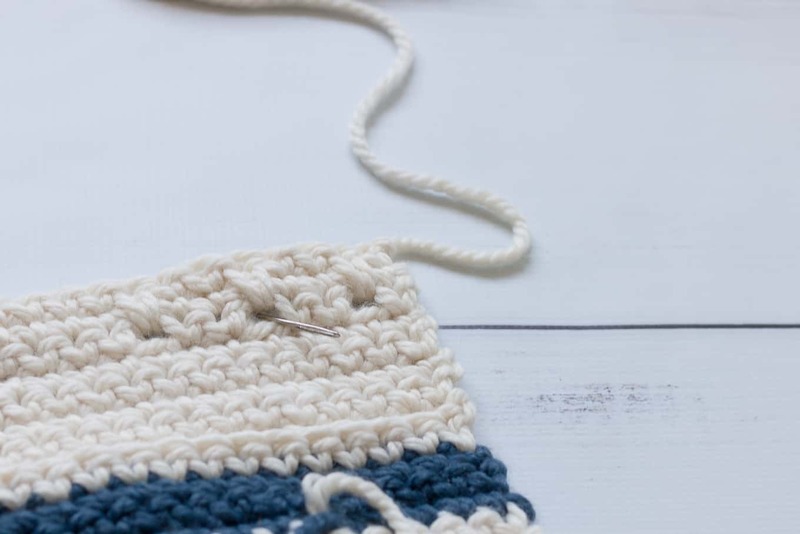 Or you can if you prefer a tutorial then use my “how to add fringe to crochet” tutorial found on the blog. 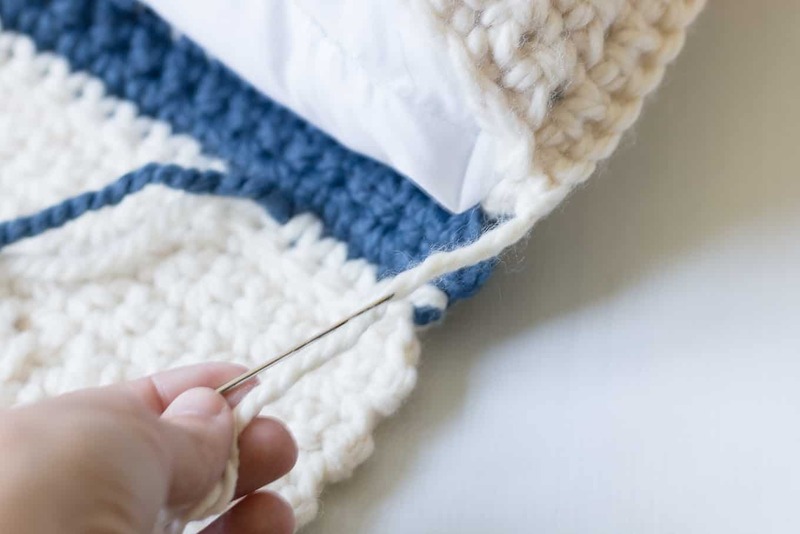 Trim up the edges of the fringe when you are done so that they are even across the bottom. 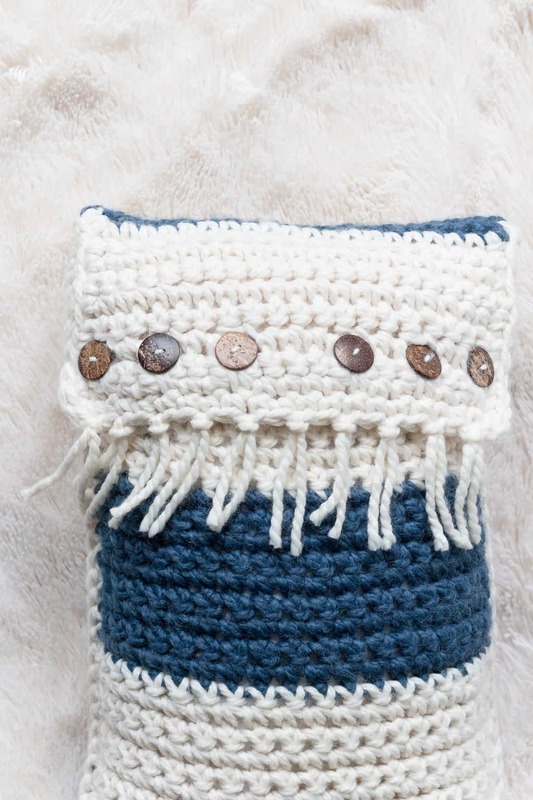 I hope you liked this fun crochet pillow! If you have any questions you can leave a comment and I’ll get back to you asap! 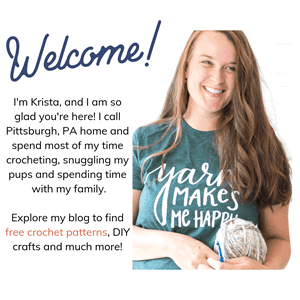 You can also find me on Pinterest, Facebook or in the Private FB group Rescued Paw Designs Crochet Club!